The Knowing the Bible series is a resource designed to help Bible readers better understand and apply God’s Word. These 12-week studies lead participants through books of the Bible and are made up of four basic components: (1) reflection questions that help readers engage the text at a deeper level; (2) “Gospel Glimpses” that highlight the gospel of grace throughout the book; (3) “Whole-Bible Connections” that show how any given passage connects to the Bible’s overarching story of redemption, culminating in Christ; and (4) “Theological Soundings” that identify how historic orthodox doctrines are taught or reinforced throughout Scripture. With contributions from an array of influential pastors and church leaders, these gospel-centered studies will help Christians see and cherish the message of God’s grace on every page of the Bible. 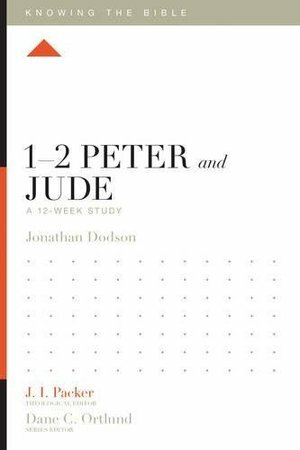 1–2 Peter and Jude are letters written to churches experiencing various kinds of trials—false teachers, distorted views of the gospel, and harsh persecution. If 1 Peter exults, “Jesus will return!” and 2 Peter rebuffs the claim, “Jesus won’t return,” then Jude exhorts, “Jesus is just about here!” Together, these letters form a kind of manifesto of hope for living faithfully no matter how dark the times. This study highlights the importance of holding fast to the true gospel, living distinct, holy lives, and looking ahead to the return of Christ. Part of the Knowing the Bible series.